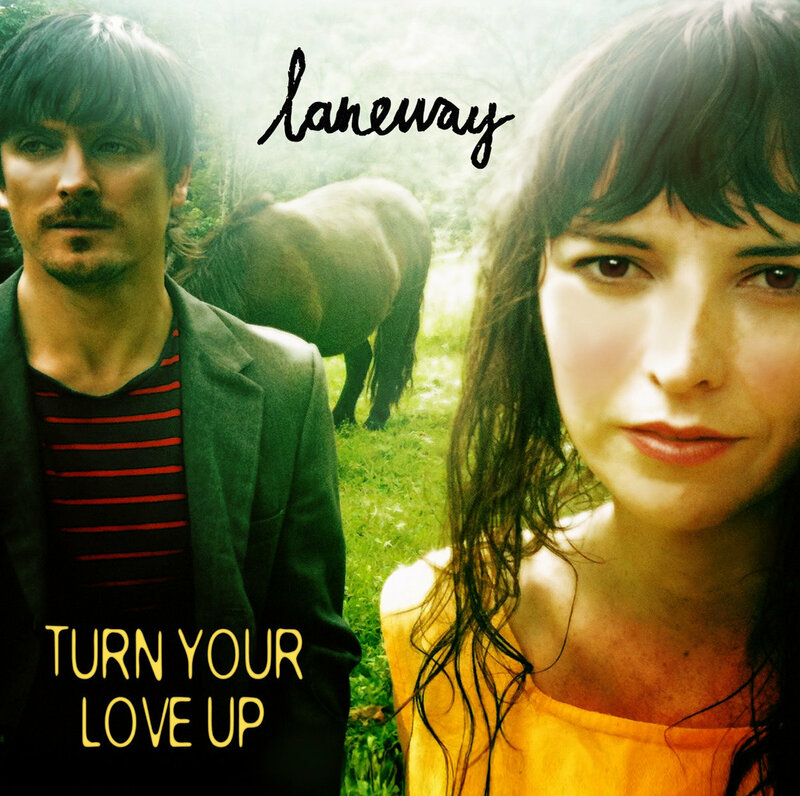 The latest album by duo Laneway, titled ‘Turn Your Love Up’ features many of the typical elements of folk music, whilst also fusing more alternative rock elements in at various times. It is in many ways a typical folk record, though it seems there’s a lot of appeal from a band that just seems to exude honesty with their music. Laneway offer gorgeous folk ballads featuring gorgeous vocals that form the wonderful sound that is their own. There’s some nice talent at work with Laneway, both in terms of their performance on the album and in terms of their song-writing abilities, which at times is certainly impressive. There’s definitely some nice elements at work here, though it seems that Laneway may have perhaps fallen into a few of the limitations that folk-music features. ‘Turn Up Your Love’ is in some ways, a simply nice record. There’s some incredibly nice songs on the album that simply put a smile on the face, often helped by the gorgeous vocals by Louise O’Reilly. O’Reilly’s vocals seem a little soft, but very rich in sound at times, making it a delight to listen too. When this is backed up by Laneway’s second member Paul Hannan, it forms a wonderful combination that makes some incredibly appealing and enjoyable music. The album opens up in typical folk-music fashion, though at various points there’s some interesting techniques or ideas which seem to just give the album a little bit more shape and character than perhaps the bog-standard folk album. It’s incredibly enjoyable, and there’s some wonderful emotion present in many of the various songs. Laneway certainly offer an appealing and enjoyable album, though it does seem limited by the limitations of the genre itself. It’s disappointing to say, but it does seem that as the album progresses from track to track, it seems to offer just a little bit less each time. Certain tracks near the end of the album are certainly stronger, though it seems to take some time for the album to really come into it’s own. A few of the tracks also seem to be somewhat repetitive after a while, with similar instrumentals being used for a number of various songs. On their latest album, Laneway certainly have offered up an enjoyable and nice musical experience. Their latest album has many nice elements that simply make ‘Turn Your Love Up’ a good folk record. Both members of the band offer a lot to their overall sound and scope, giving them a great amount of appeal. It might not be the most impressive folk release of all time, but it does manage to do most of the elements right. Those who enjoy the simple elegance of folk music will find a lot that is enjoyable from Laneway, though they’d be hard done to truly impress those who are fans of the genre. It is easy to say though that they are definitely a cut above the average bog-standard.